In one of my previous posts I explained how to Clone a virtual machine with the Virtual Machine Manager, but before Clone our virtual machine we need prepare the virtual machine for cloning. As you probably know by now, Microsoft-based operating systems use SIDs (Security IDs) that are generated as part of the initial setup of Windows. If you have more than one computer with the same SID, this could cause problems, and cloning a computer (either physical or virtual) without re-generating this SID can cause SID duplication. Due to the above, we need to prepare virtual machine image for cloning. This guide assumes that you’ve got some sort of virtualization infrastructure in place. In my case this is a Microsoft Hyper-V. It also assumes that you’ve got some sort of virtualization management tool like System Center Virtual Machine Manager. In addition, it’s important that you have a basic knowledge about how to set up and run your virtualization product, that you are knowledgeable about setting up virtual machines, and about the proper procedure to install and configure a Windows-based operating system on these virtual machines. Also, , this guide assumes that you’re knowledgeable about the proper procedures needed to be taken prior to creating a virtual machine clone, how to use SYSPREP (the system preparation tool from Microsoft), and how to create proper answer files for the preparation procedure. In this post I ‘ll describe how to prepare virtual machine images for Windows Server 2008 R2 and Windows 7. In Windows Server 2008 R2 and Windows 7 the SYSPREP tool is already included in the operating system, therefore there’s no need to download it like for Windows XP. To create the proper answer file under Windows Server 2008 R2, Windows 7, you need to either manually edit an existing answer file, or create one for your needs. 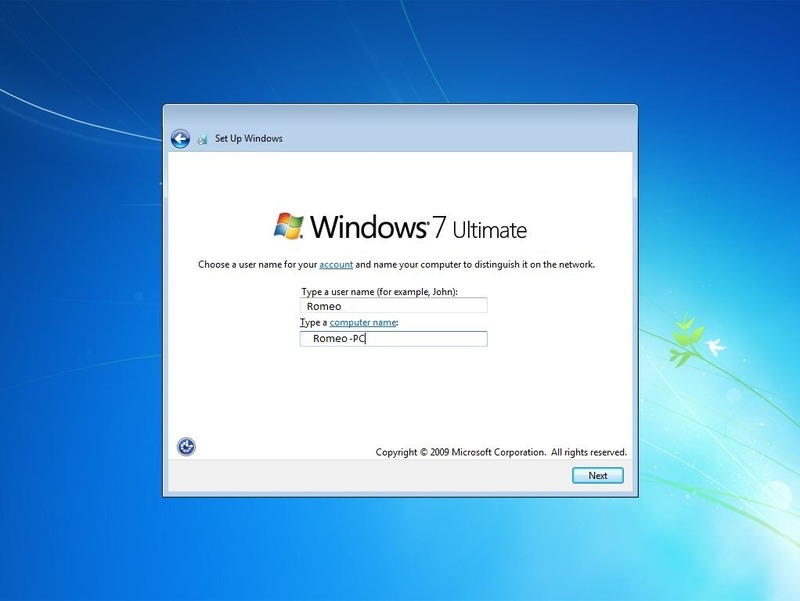 To create an answer file for Windows Server 2008 R2 or Windows 7, you must use the tools available in the Windows Automated Installation Kit (AIK) and you can download here. Prior to cloning the virtual machine there are several steps that you need accomplish. This is not a requirement but is recommended. Customize the Default User profile. Update Windows and other software components. Defragment the disk, and compact the VHD file. Unattended Windows Setup answer file in Windows Server 2008 R2 and Windows 7, is an XML file typically called Unattend.xml. This is the answer file for Windows Setup that is created by using Windows System Image Manager (Windows SIM). The answer file enables the configuration of default Windows settings, as well as the addition of drivers, software updates, and other applications. The unattended Windows Setup answer file in Windows Server 2008 R2 and Windows 7 needs to be specified during the running of SYSPREP. To do so, run the SYSPREP tool with the /unattend:filename option. 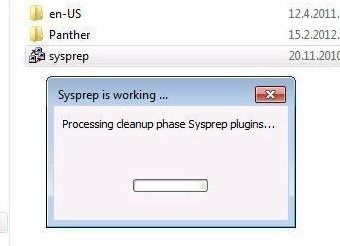 If you wish to manually configure the Windows settings after SYSPREP, run SYSPREP from the C:\Windows\System32\sysprep folder. 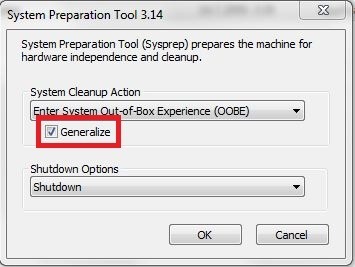 Make sure you do NOT FORGET to select the “Generalize” option if you need to change the computer’s SID. It seems that this version will NOT change the SID unless you pick that option. When the process is complete the virtual machine will shut down. OK, our VM is prepared for Cloning and if you want to know how to Clone VM with System Center Virtual Machine Manager read my previous post about that. After starting cloned machine, you will be prompted to configure few settings like the user name, computer name, language and some other settings. I need to mention, creating an answer file will greatly ease this process, and the entire process will automatically run. As it comes from my experience, SID duplication is THE ONLY problem. Nothing deadly happens if you try to run cloned machine along with a clone master in same network. You’ll just get a warning that same computer name already exist in your network, so it would be the first thing you have to change – the name of cloned machine. Not a big deal. The second (optional) issue – duplicated IP address. Same action – just change it. But this is avoidable if you set master’s IP as “Obtain automatically” (via DHCP). That’s what I do for clone’ masters. The Static IP should be set for target machine after cloning (if required). As per same SID – it works fine untill you’ll try to join newly cloned server to Domain Controller, which still has same SID, inherited from Clone Master. Then you’ll get into troubles, given new server will join the domain, but will not allow you to log in, poping up a message about SID duplication problem. For some reasons (unknown to me) the SID problem doesn’t rise up for workstations (at least I never faced it so far). So I never altered SIDs for workstations. 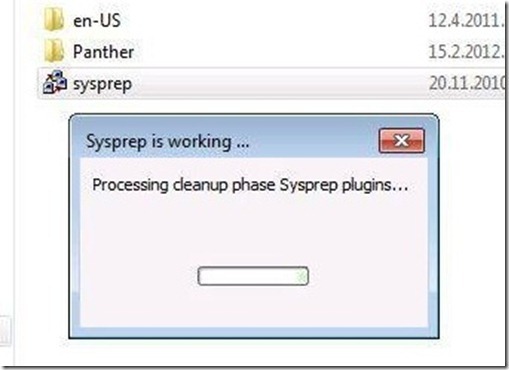 I never run any sysprep BEFORE cloning. I just clone the machine, which I call “Clone Master”, which is just newly installed and updated virtual machine. With all “gentleman pack” apps installed too (kinda WinRAR, Acrobat and so on). And it’s IPs are all set to dynamic (via DHCP). And after that only I use to run “NewSID” utility (borowed from SysInternals) on new cloned machine to avoid mentioned potential problem of joining it to domain. 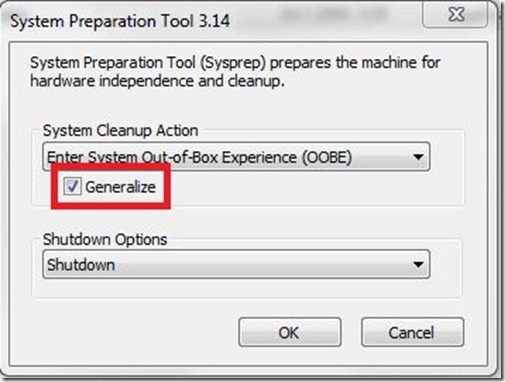 I didn’t try this procedure in Hyper-V environment yet, but it works fine in vmWare and VirtualBox. Well, Mark wrote indeed the article under the aspect of security. If you try to add a machine with a duplicate SID into a domain under Windows Server 2012 R2 you need to resolve the problem in the way given above.